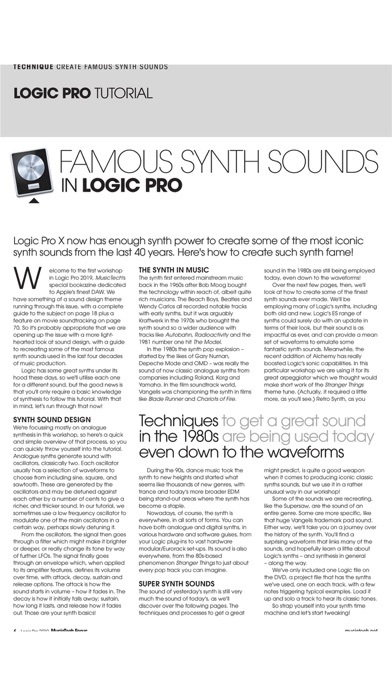 It might be one of the best music technology magazines I've had in a long time. Very informative and very easy to read. Not sure if this is part of Future, but you can see they don't spend much time on it, or rather they out their energy on the wrong subjects to release their specials. For the past 3 years you get the same... 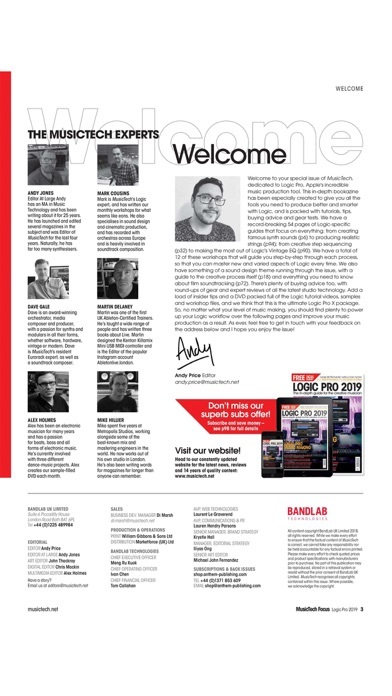 Learn logic, learn live, the only thing they change is the number of the year. Nothing about other techniques, or daws. In addition, they take ages to release a new issue of the same, again, when it is not logic it's live. I haven't seen an issue on cubase in years. Boring magazine and expensive for what you get. I ALWAYS learn something new and worthwhile from each issue. The "import" newsstand price here in the US is roughly 4-5 times the price of the iPad version. Good deal!! Have to give it one star until they update The app and make the most recent issues available. Why else would I subscribe? 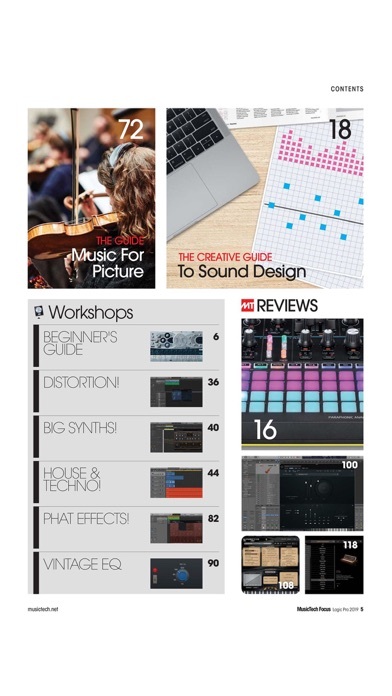 The new music tech focus has been out for a couple of weeks now and still not available on the app. What's the deal? The content provided in these mags is nothing short of excellent. All of the information is useable immediately. I can't think of a better way to stay current on music tech. This mag is very useful for want ever DAW you use. The app works fine, no issues. This review is for the magazine itself. The subject matter is usually well chosen to my liking attracting me to purchase the articles. It seems like I am usually disappointed with the article depth. 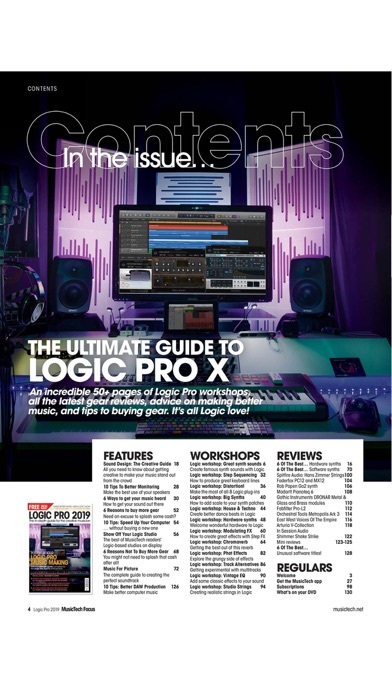 My understanding is that this mag should be for a more in depth look at techniques. 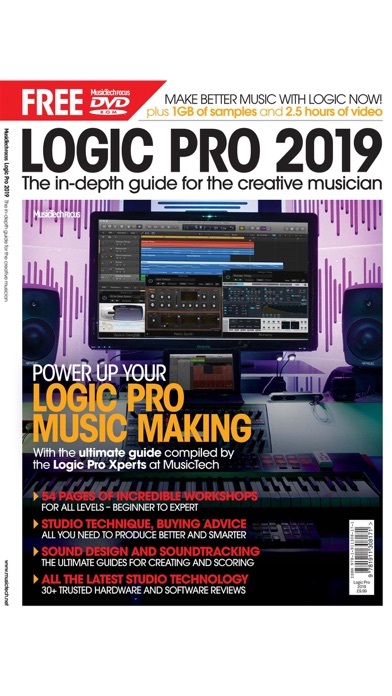 If all the articles are going to consist of 101 content depth such as putting new strings on your guitar and tuning your instrument between takes this mag should be renamed to Musictech 101 and priced accordingly. I will probably continue to purchase select issues as I can usually get one useful tip out of it.